The Blue Mountains are Jamaica's longest and highest mountain peak, sitting proudly above the island's capital city, Kingston. A blue haze, from which the mountains get their name, cling to the thick forest of trees and the area provides an unspoiled oasis away from the hustle and bustle of the city below. A place to relax, hike and enjoy the view, no visit to Jamaica can be complete with a trip to the area. 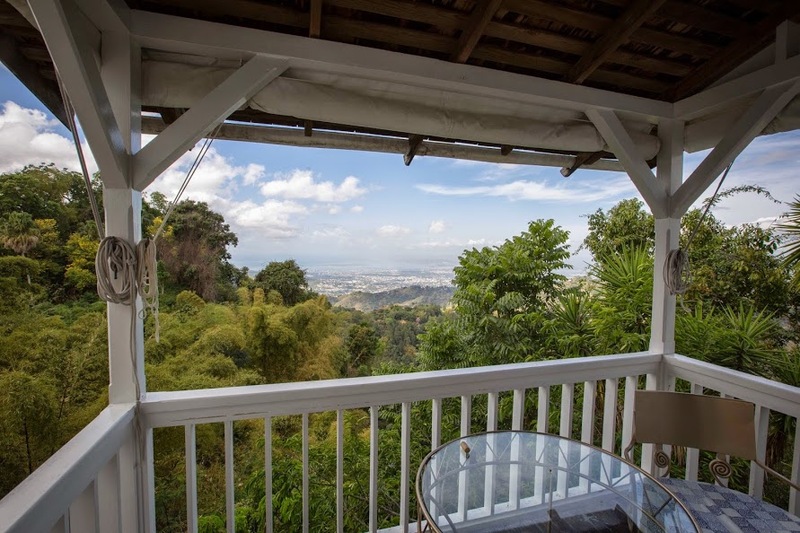 Strawberry Hills is one of the finest hotels in Jamaica, if not the Caribbean. Music Mogul, Chris Blackwell's baby, the site was used by Bob Marley as a hideout and it offer the same retreat experience to it's guests today in one of the secluded cabins, suspended from the mountain sides with mesmerising views of the city and ocean. You can gaze at the view from your private balcony or from the infinity pool, or relax in the award winning spa. If budget is a concern there are other options nearby including the boho style Serendipity resort with stunning ground, just minus the views of Strawberry Hills. If that's still a stretch opt for one of the guest houses listed in the lonely planet - there are a few strewn across the area all with excellent reviews. This really is the place to chill out, read a book, take in the view, listen to the birds in the trees and switch off from the outside world. Sip a cold beer by the pool, and enjoy some quality r&r! Unlike Kingston itself, the Blue Mountains are safe to walk around during the day. You wouldn't want to go further than you think you can walk back as taxi's are few and far between, but from Strawberry Hill at least you can take a leisurely stroll along the main road and up to the church which sits above the resort. From there you can cut through the trees and take the nature trail to get back down. Just a 10-15 minute walk from Strawberry Hills is the village of Red Town where you can buy soft drinks and chat to the locals cooking up local delicacies such as cow foot soup and chicken stew. They're very friendly and as long as you can figure out what they're saying you can hang out with them on their random benches all day! 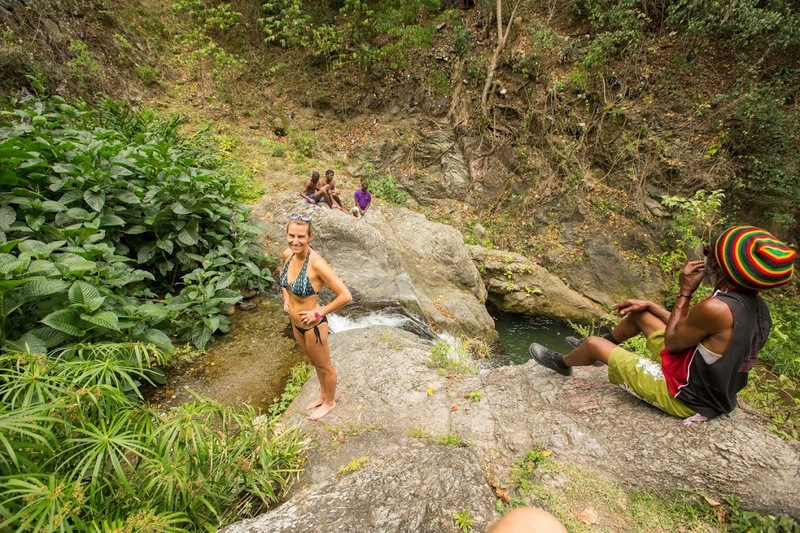 If you're keen for a bit of exercise and adventure, a half day excursion will take you to Gordon Town along a beautiful trail which ends at a secret waterfall. You might have to share it with one or two locals taking a dip if it's a hot weekend but otherwise you'll be in your own little piece of paradise. Further along the windy road, away from Kingston up the hill from Strawberry Hills is a Eits (pronounced Eats) cafe which serves up a small but delicious menu of simple, fresh dishes to travellers in one of the most beautiful restaurant locations in the world, high in the tree tops. It's a place to be seen - as is their loo! 1. Arrange transfers with your hotel in advance as you don't want to be hanging around Kingston for any long than necessary. 2. If you're staying at Strawberry Hill it's worth bringing some duty free with you - we took a bottle of Champagne, a bottle of wine and some snacks. There's a little kitchenette, or at least a fridge in each room and this will save you from the resort prices as well as keep you going when the hotel bar shuts, fairly early! 3. Pack a jumper - the mountains are much cooler than the city and it gets quite chilly, particularly at night!